New York-based Shen Yun Performing Arts' seven-show run in Hong Kong, scheduled from January 27 through the 31st, sold out in five days. Then, just a few days before the first performance, on January 21, 2010, the Hong Kong Immigration Department denied entry visas to six of Shen Yun's production staff. Unable to operate the show's complex stage setup without these key staff members, Shen Yun was forced to cancel all seven of its shows in Hong Kong on January 23, 2010. Upon hearing how the Hong Kong District Government complied with the Chinese Communist Party (CCP) regime to suppress the Shen Yun shows in Hong Kong, many prominent people from different countries have stepped forward to condemn the Hong Kong government's succumbing to CCP pressure. Shen Yun, a world class performing arts production, started touring the world in 2007. In the 2009 season, Shen Yun presented over 300 shows in nearly 100 cities in over 20 countries. Audience reaction to the show has been consistently enthusiastic. Prominent artists and officials around the world have praised the company for bringing the essence of Chinese traditional culture to the world. Yet surprisingly, in an area inside China - Hong Kong, a Special District claimed to enjoy a policy of "One Country, Two Systems" - the District Authority yielded to pressure from the CCP and denied performance visas to six key crew members of the show. After hearing the news that Hong Kong complied with the CCP to interfere with Shen Yun's shows in the city, many United Kingdom political leaders who care about Hong Kong expressed disappointment. 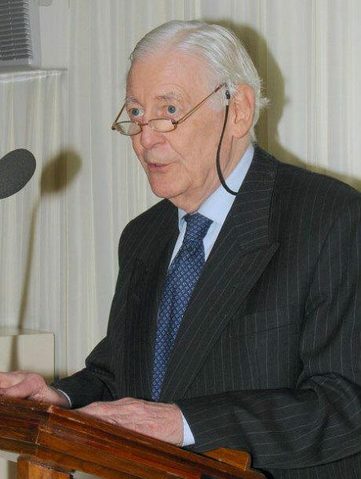 Lord Avebury, Member of Parliament, believes that the Chinese Communist regime is the primary reason behind the Hong Kong authority's denial of visas. Lord Avebury: "The Chinese Communist regime is the primary reason behind the Hong Kong incident." Lord Avebury told the Epoch Times newspaper that the Chinese Communist regime has tried to stop Shen Yun shows all over the world from the very beginning. Since Hong Kong was returned to China in 1997, the promised "One Country, Two Systems" political freedom has not been fully implemented. Lord Avebury said that, for historical reasons, people in Hong Kong still enjoy some freedom and rights that mainland Chinese don't have. But the so-called "One Country, Two Systems" acclaimed by Beijing is not being realised. Lord Avebury is well known for his efforts to promote human rights and freedom. In 1976, he led the process to establish the Human Rights Committee in Parliament and was the Chairman of the Committee for 21 years. In 2009, he was awarded the World Freedom Award by the World Freedom Organisation in recognition of his effort to safeguard human rights in many countries.